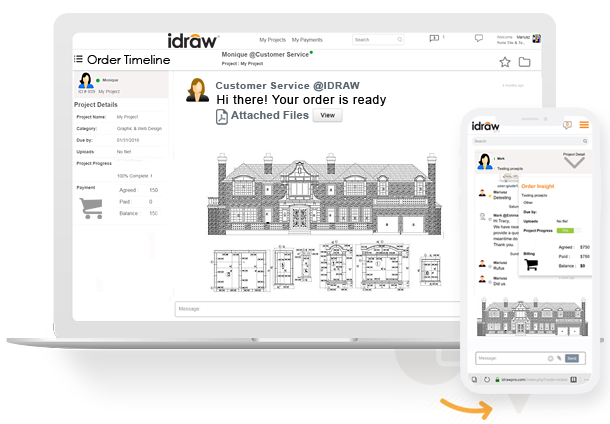 Idraw is the best place to order shop drawings drafting and other related services online. Submit your order in less than a minute! 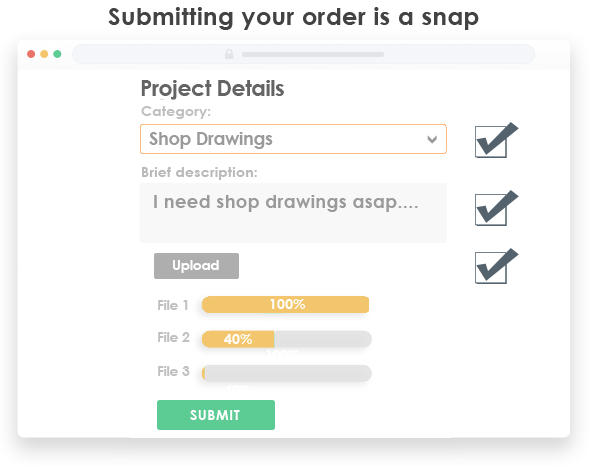 Describe your project, upload files. Get free quote. Our live agents are always available to assist you. Be in Control. Keep in Contact. Use your desktop to track progress, communicate and share, and much more. Always know the status of your order, what is getting done and what still needs doing. Use your mobile device for easy messaging on-the-go. You can always stay in touch with us when you have questions, updates or need to view or download your files. 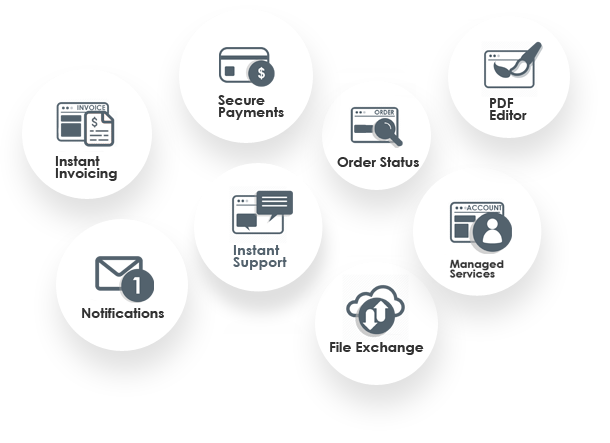 Multiple payment options online or offline. It takes around 1 minute to submit your order.